KATHMANDU, Feb 10: Even after the advent of the new constitution in 2015 and elections at local, provincial and federal levels in 2017 to institutionalize federalism in the country, the representatives of the federal government at the districts in the form of Chief District Officers (CDOs) still enjoy huge powers ranging from judicial to executive. The Muluki codes and various other laws have assigned quasi-judicial powers to the CDOs for hearing various civil and criminal cases having a maximum penalty of one year in jail. CDOs shall hear cases and announce sentences concerning various offenses including public offenses and offenses related to abandonment of livestock, obstructing of government work, and the movements of VIPs and VVIPs . Some three dozen issues are covered. In addition to their quasi-judicial work, the CDOs will still enjoy the powers to issue passports, maintain peace and security and carry out other administrative work. They will have the executive powers of mobilizing the security forces in the district. The government has retained intact most of the executive powers of the CDOs through different laws even after provincial and local governments came into existence. The newly introduced Bill to Maintain Peace and Security and Bill to Provision Works and Duties of Federal and Provincial Police, which are under consideration in parliament, have assigned all security-related executive powers to the CDOs . According to the two bills, CDOs shall mobilize all security forces in the district for peace and security purposes, impose curfew and declare restricted and riot-affected zones, and impose fines of up to Rs 25,000 and three years in jail for violating their orders. The peace and security-related bill have stated that the CDOs shall have the power to order the security forces to open fire on those violating curfews and restricted zones and for controlling violent protests. The CDO, in the capacity of head of the district security committee, shall mobilize both federal and provincial police, the armed police force and the intelligence bureau in the district. CDOs can also seek additional support from the Nepal Army, through the concerned ministry, for maintaining security in the district. The bill has also vested the CDO with the authority to hear complaints against any unlawful activities by police personnel working in the district and against public service delivery in the district. The two new bills related to peace and security and the federal and provincial police have vested all these powers in the CDOs despite pressure from the internal affairs ministers of all seven federal provinces. A meeting of these seven ministers held in Hetauda on June 3 last year had demanded that both CDOs and the district police chiefs be brought under the provincial ministry. 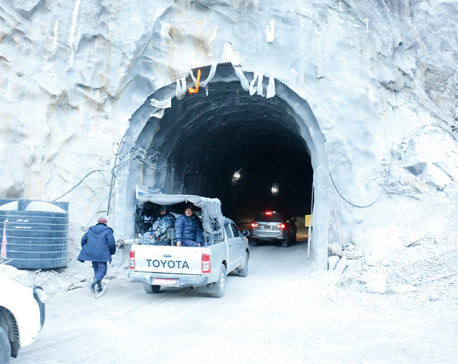 Provincial governments have been accusing the federal government of setting up a parallel authority in the country by making the CDOs more powerful. 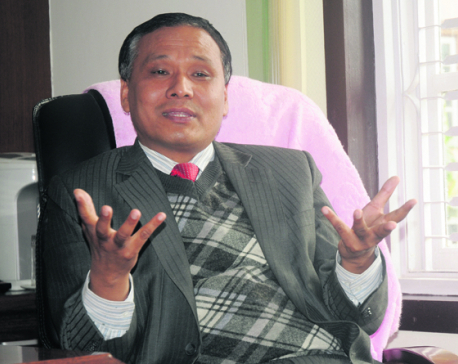 Internal Affairs Minister of Province-2 Jitendra Sonal accused the federal government of running a parallel government. Chief Minister of the same province Lal Babu Raut warned of protests against the recently introduced bills empowering the CDOs. After criticism from various quarters , the Supreme Court had ordered the government to minimize the powers of the CDOs and also bar them from exercising judicial powers without having any knowledge about the judiciary. “The CDOs must have at least three months of training about the judicial process and law . 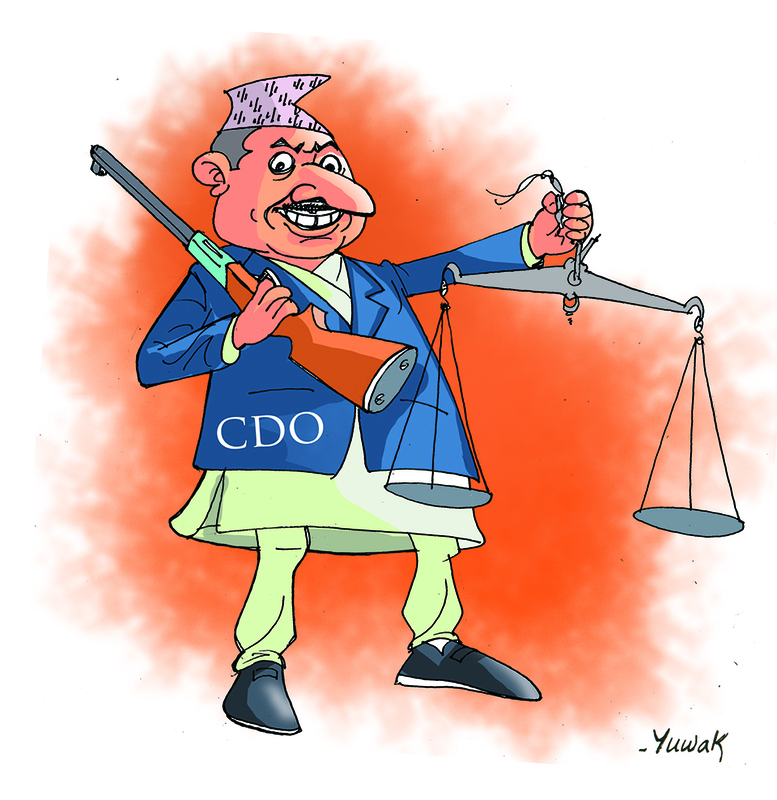 The constitution has also limited the judicial powers of the CDOs following the SC’s then order,” said former chief justice Kalyan Shrestha . He was one of the justices issuing the order in September 2011 . The constitution has also assigned some semi-judicial powers to the judicial committees at the local level, which are headed by the deputy chiefs. But such authorities are entrusted with hearing only minor disputes at local levels .